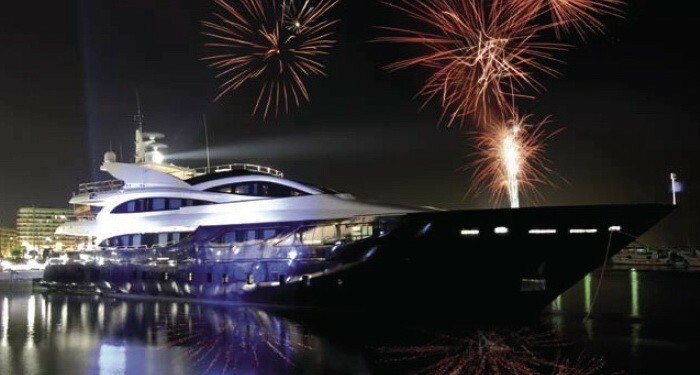 Luxury motor yacht ARRAFIQ was launched in 2007 and refitted in 2011. 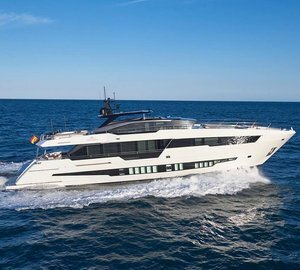 Measuring 45.8m (150'3"), ARRAFIQ features naval architecture by Astilleros MCIES Oassive and was built by Astondoa yachts. 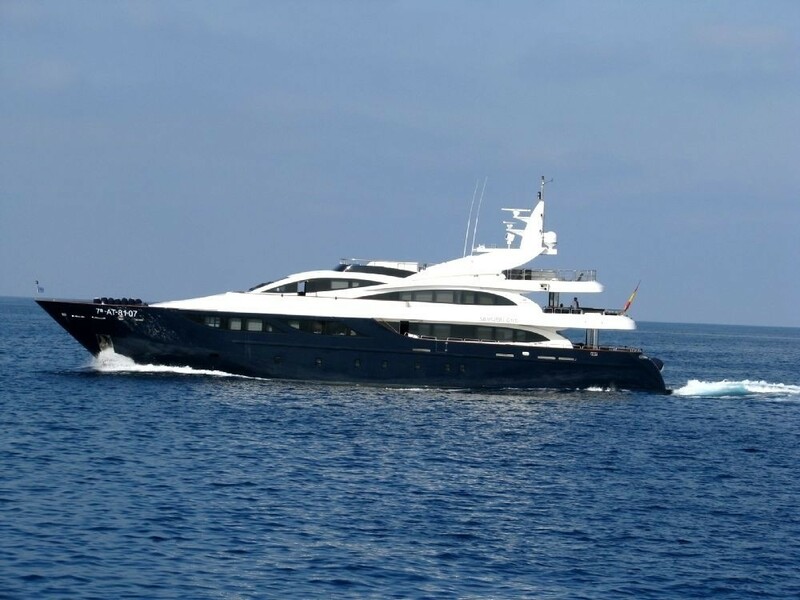 M/Y ARRAFIQ is the ideal yacht for large groups, offering five double en-suite cabins, for up to 10 guests. 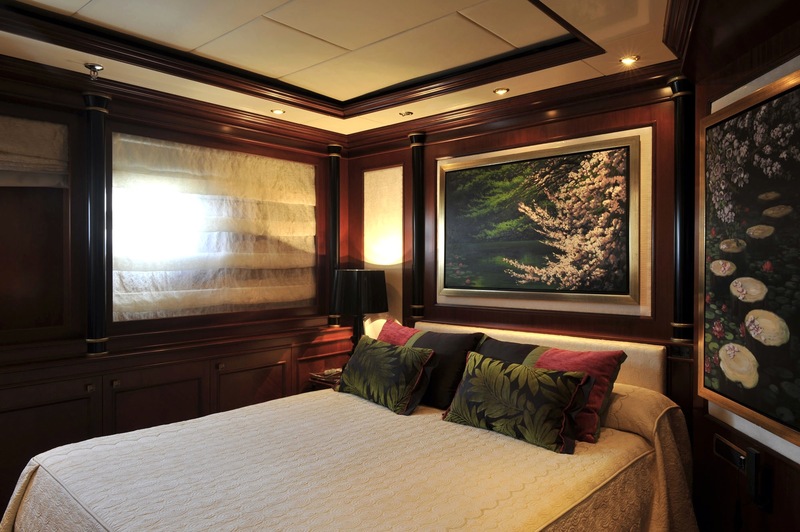 Crewed charter yacht ARRAFIQ boasts a fittingly oriental bespoke interior by the Cristiano Gatto Design Team, with rich tones of quality joinery, fine leather soft furnishings and tasteful art throughout. 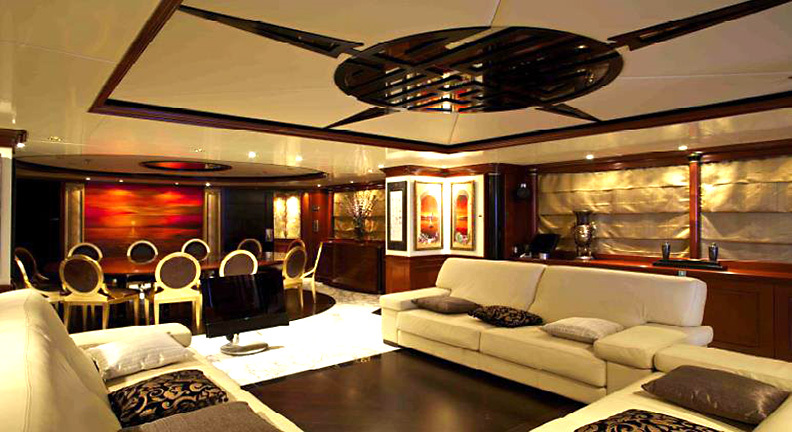 The salon and dining is an open plan, with the lounge aft and formal table forward. 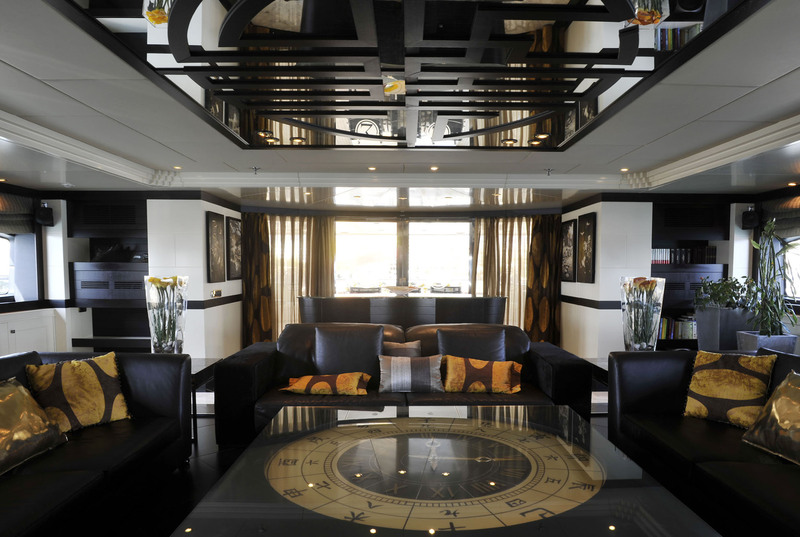 The lounge features three plush sofas, a large coffee table and TV, music entertainment. 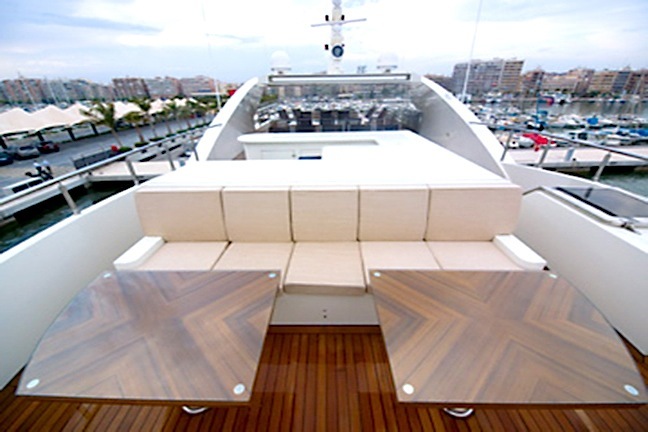 The dining table seats all ten guests in style and comfort. 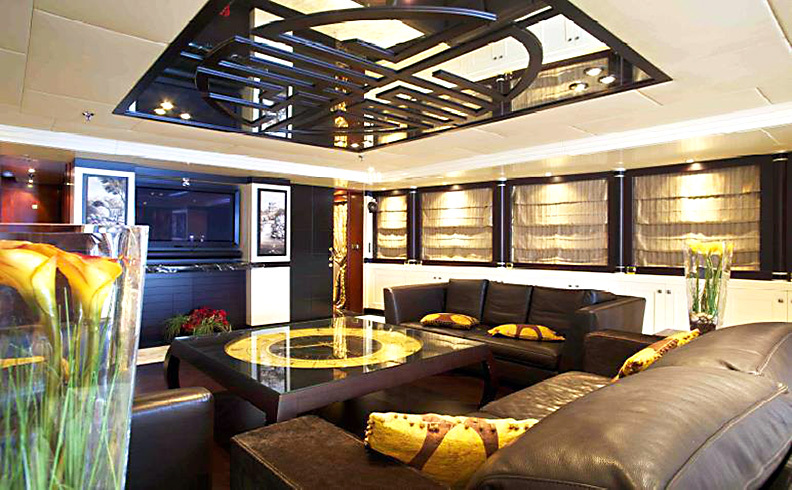 An upper deck offers a further sky lounge with full entertainment, perfect for a more casual escape. 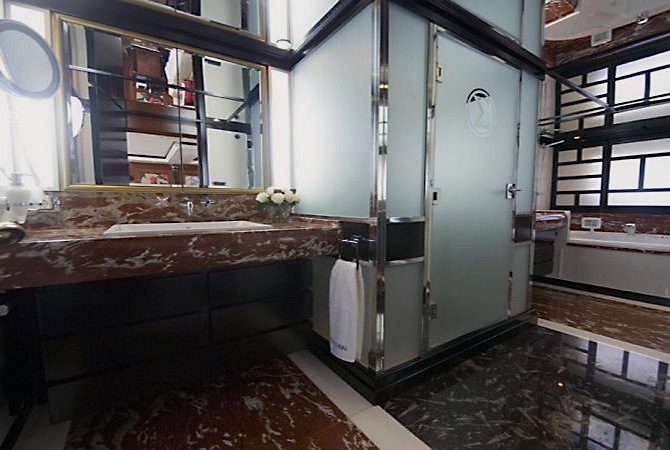 Guest accommodation is in 5 double cabins. 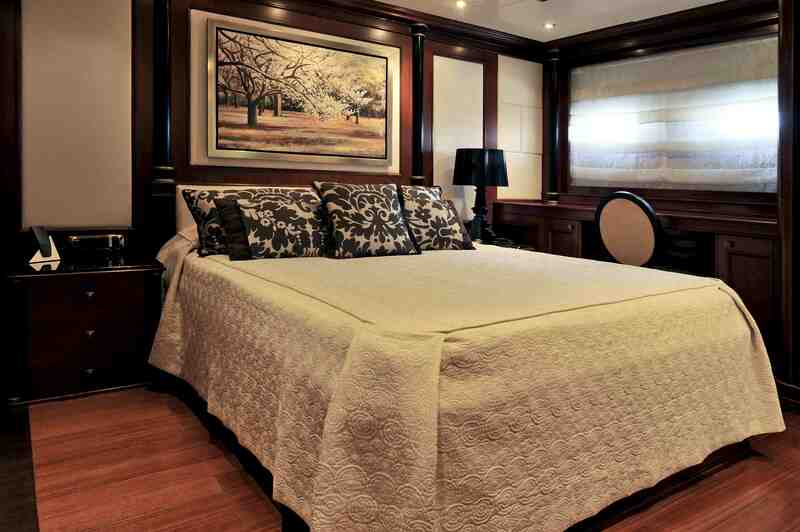 The master stateroom is forward on the main deck with a king size bed, while a further four cabins below decks offer queen size beds. 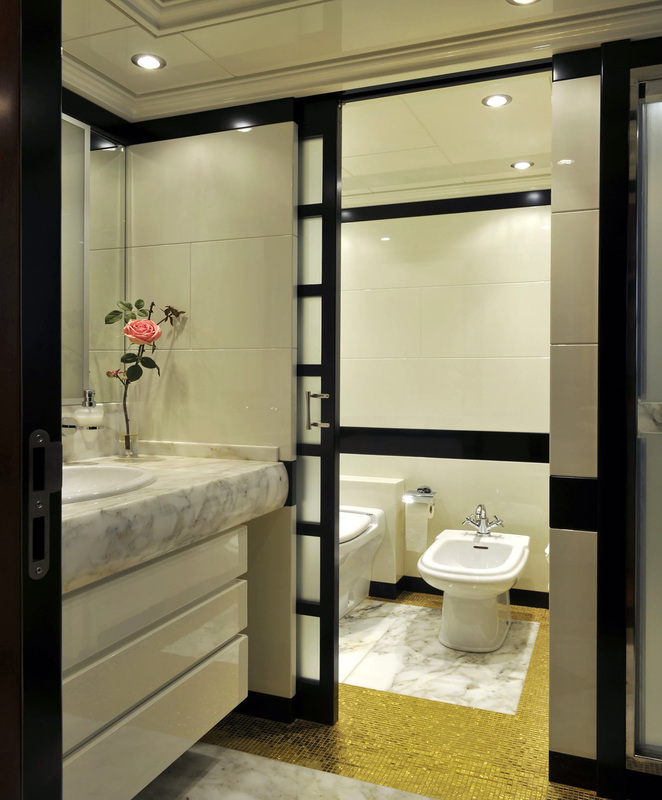 ARRAFIQ receives plenty of natural light, thanks to elongated panoramic windows. 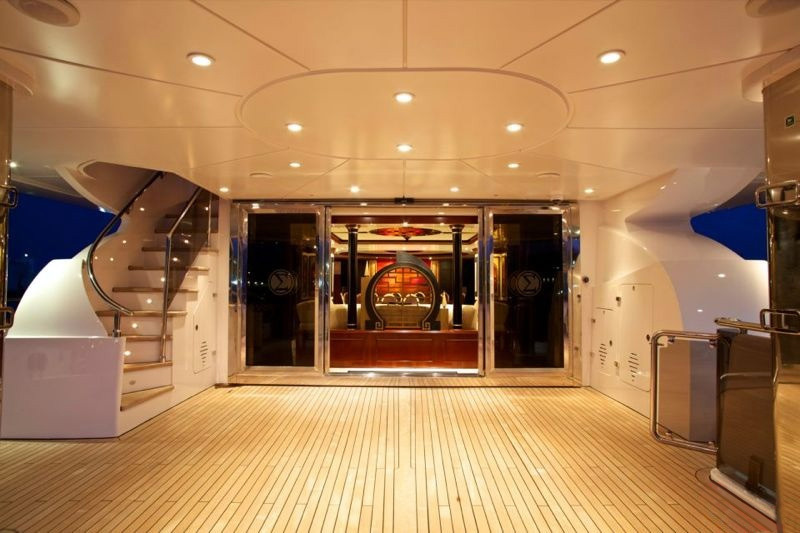 This motor yacht has three generous levels, creating ample exterior living space. 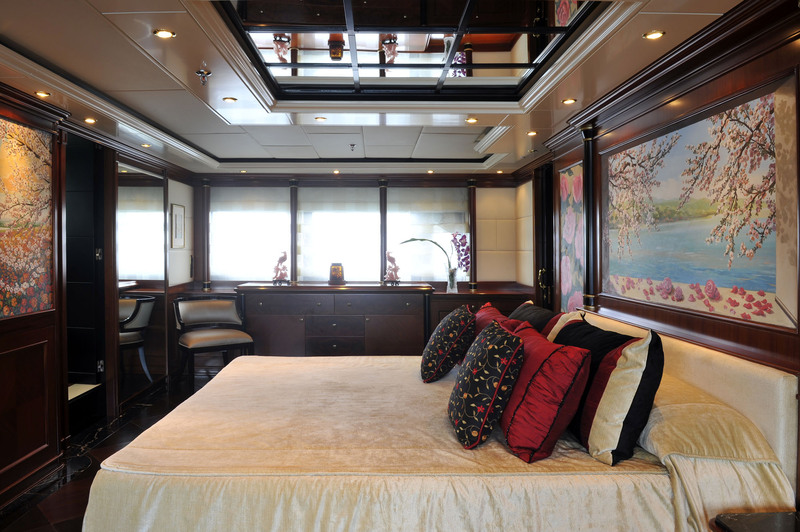 On the main deck, guests may dine alfresco aft, under shade, with direct access to the salon. 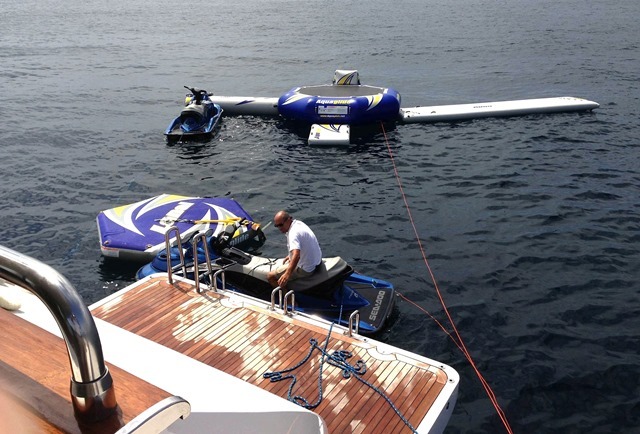 An extended swim platform allows for effortless water access, to the wide range of sea toys on offer. The upper deck boasts another alfresco dining option, adjacent to the sky lounge. 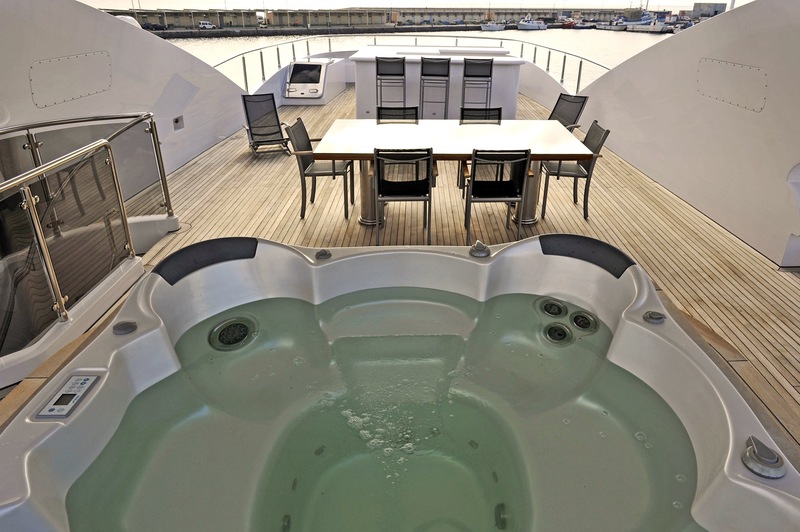 Above, the sundeck is perfect for any occasion and is well-appointed, complete with an alfresco dining option, large wet bar, cocktail seating and tables, chaise lounges, deluxe Spa Pool tub and BBQ. 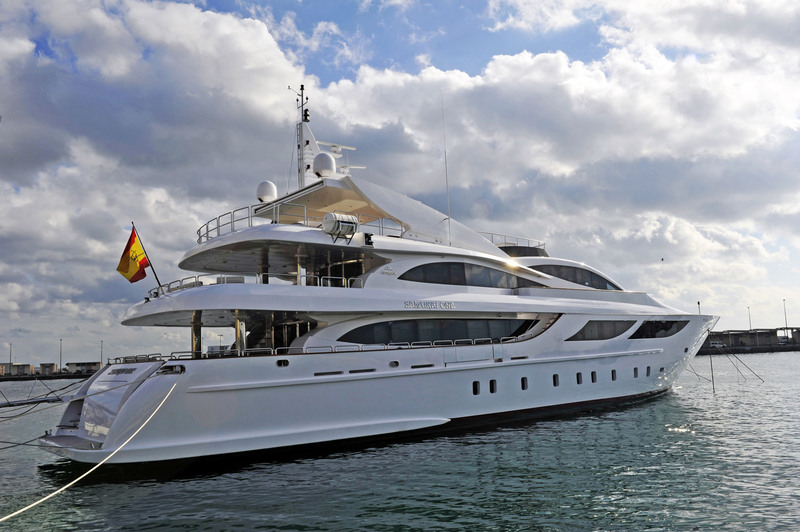 Superyacht ARRAFIQ has a beam of 8.6m (28.3ft) and a draft of 2.6m (8.6ft), she is powered by 2 MTU 2067hp engines, capable of 13 – 17 knots. 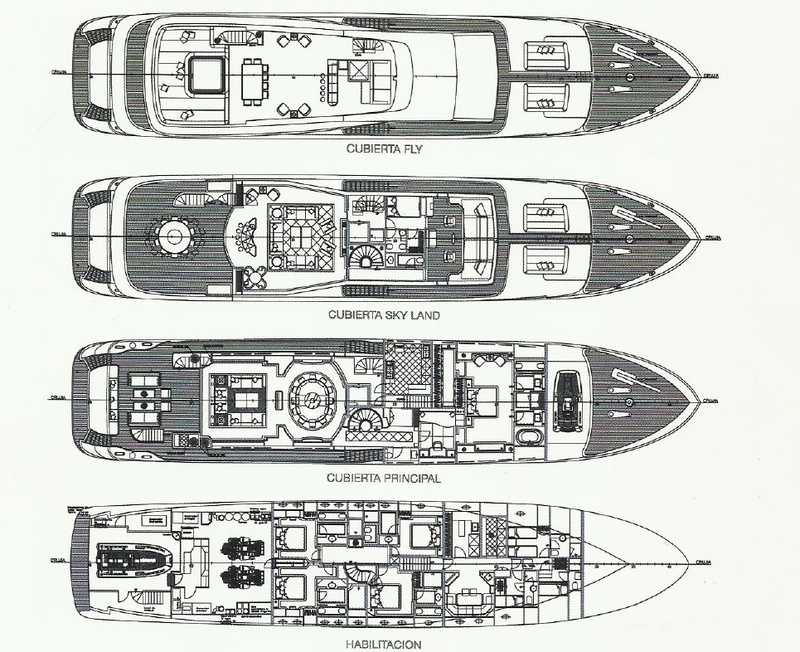 The semi-displacement steel-hulled yacht ARRAFIQ is fitted with at anchor and underway stabilizers, ensuring optimum comfort. 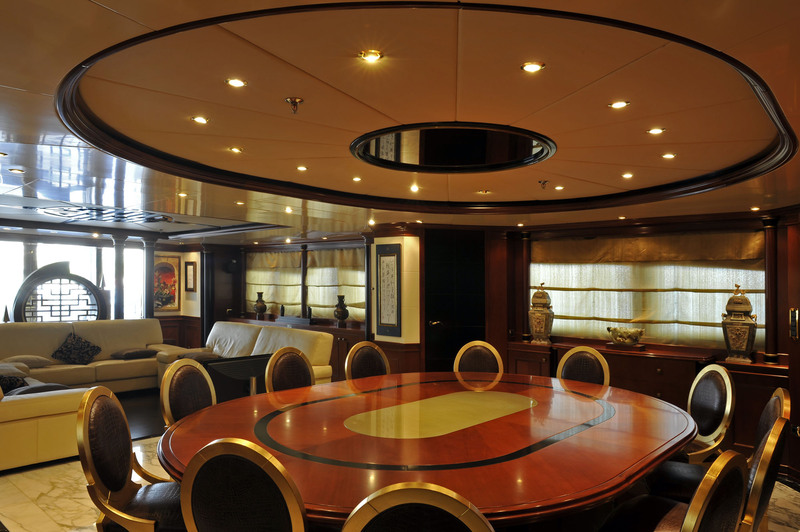 Luxury charter yacht ARRAFIQ offers 5 double cabins for up to 10 guests, all featuring marble finished facilities. 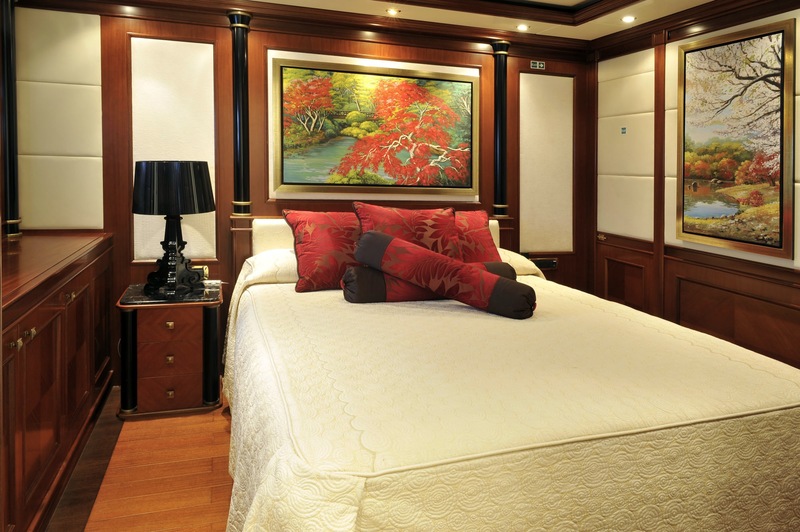 The master stateroom is forward on the main deck and full beam of the yacht, with a center lined king size bed and en-suite with shower and tub. 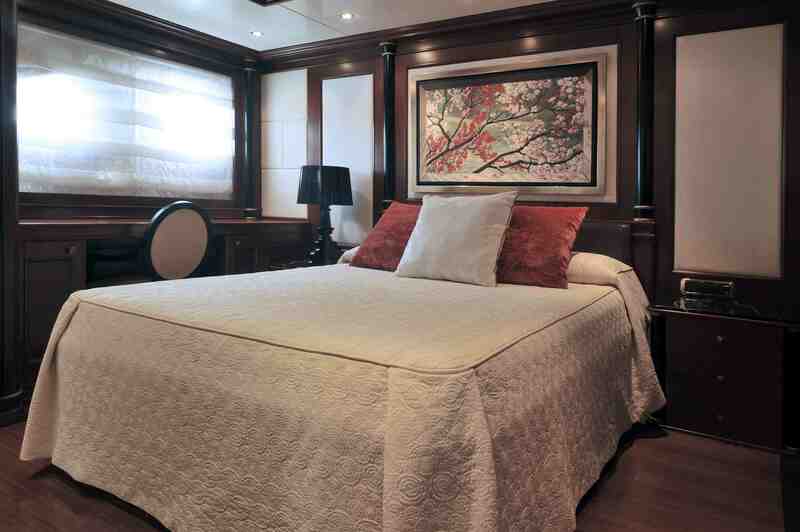 Below decks, 4 double cabins offer queen size beds, with en-suite facilities with showers. 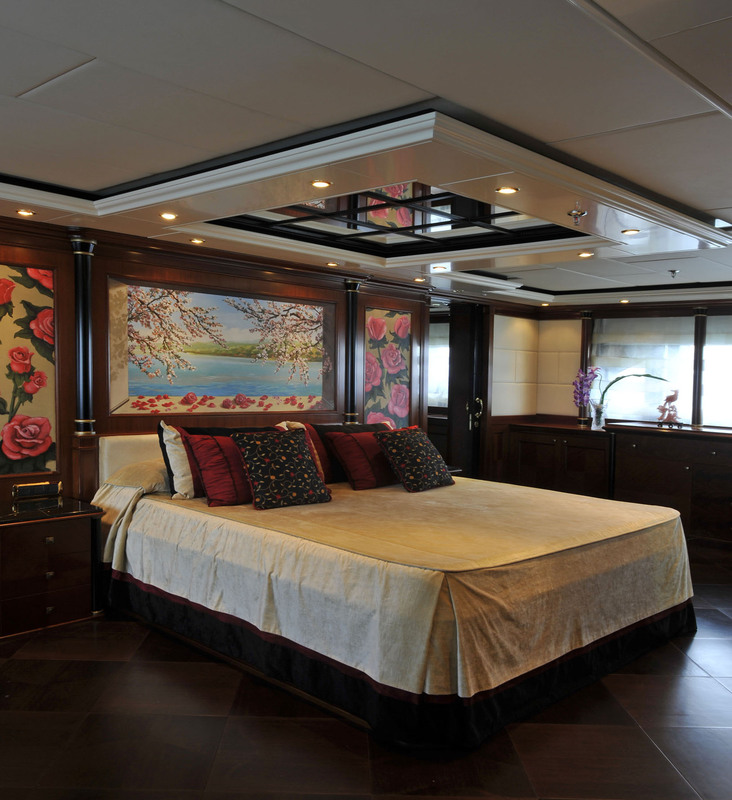 All 5 cabins have their own unique, soothing décor, each boasting a vanity, wardrobe and sound system.